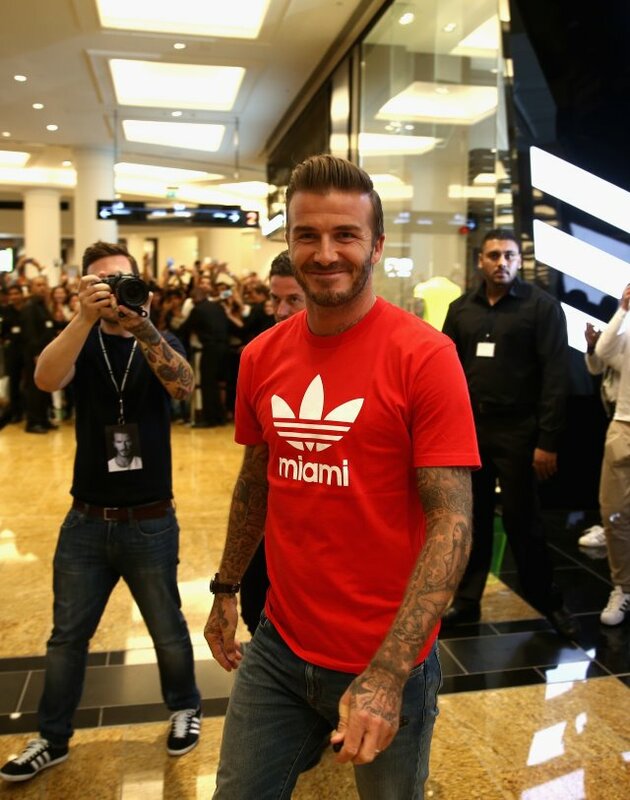 Global icon and footballing legend David Beckham today opened the new adidas HomeCourt concept store in the Mall of Emirates, Dubai to the delight of thousands of fans who caught a glimpse of the sporting superstar during a whistle-stop visit to the United Arab Emirates on September 29, 2015 in Dubai, United Arab Emirates. 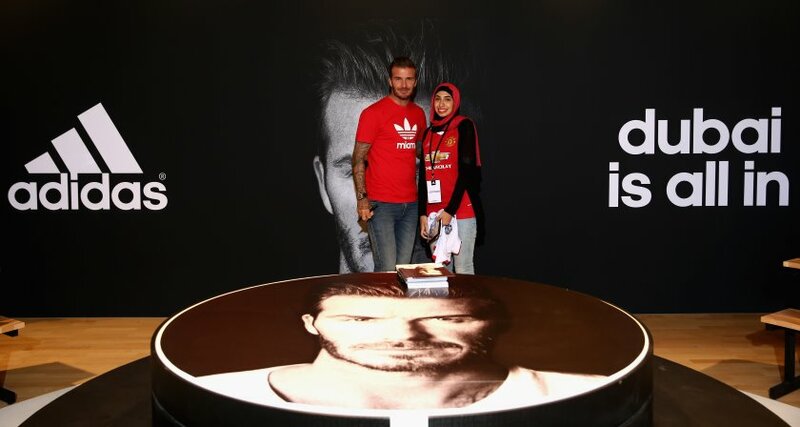 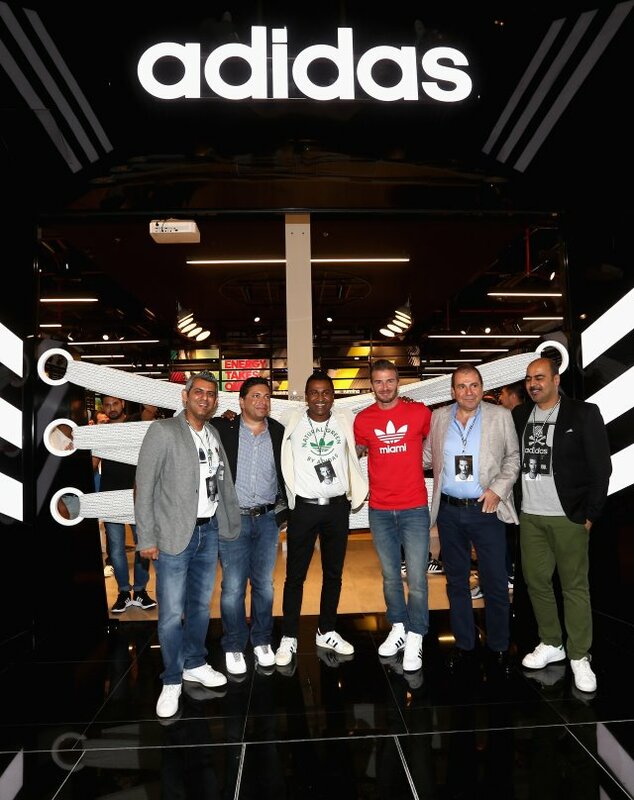 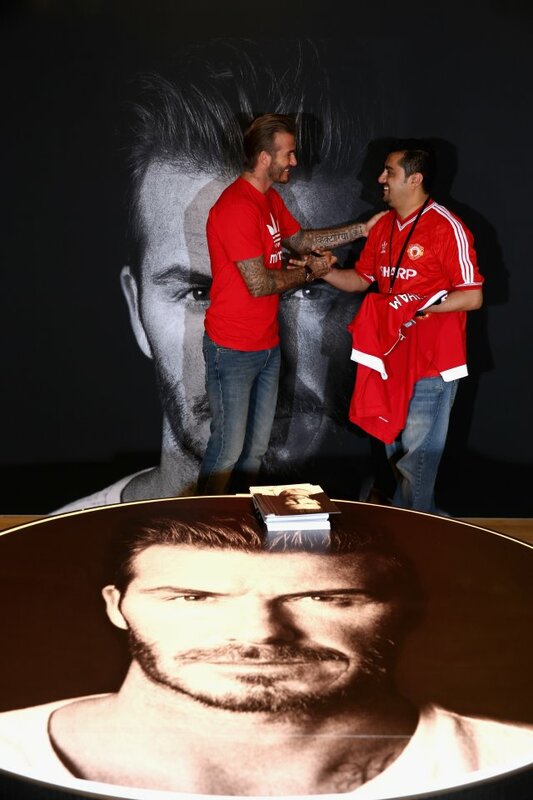 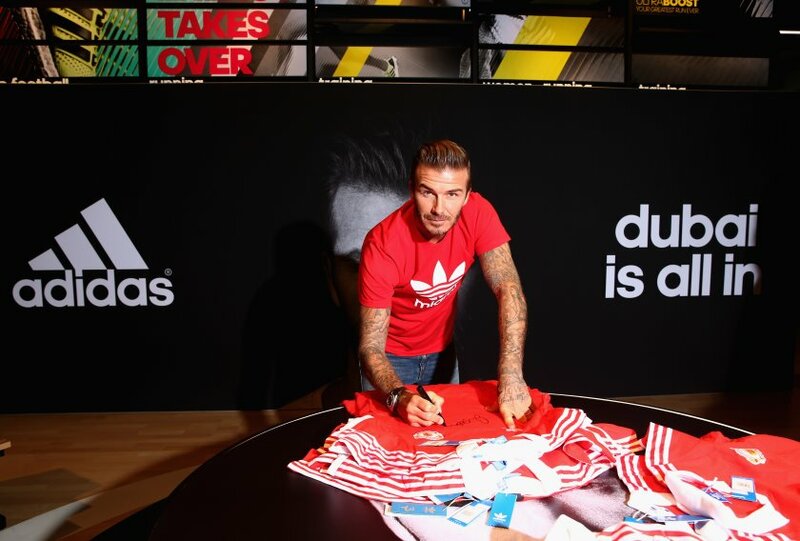 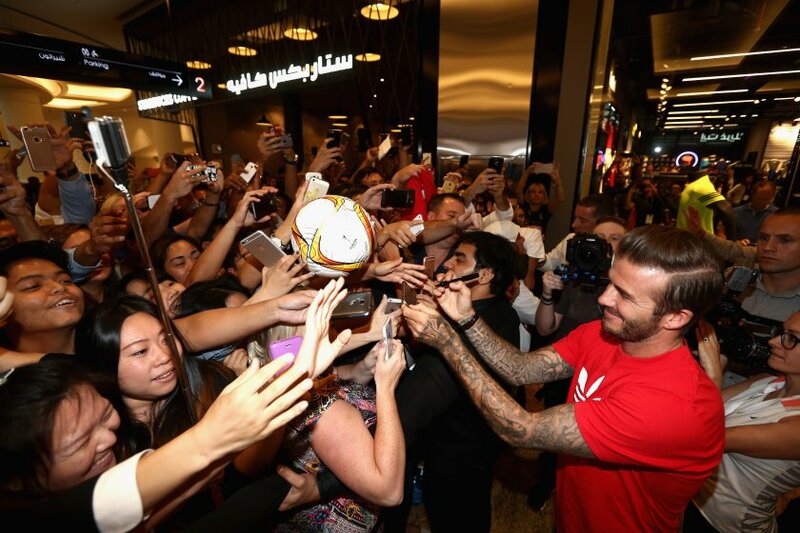 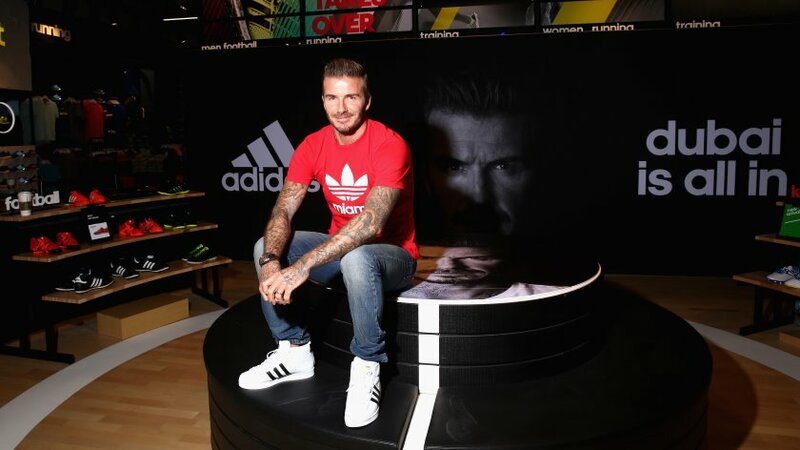 David Beckham opened Adidas’s Dubai Homecourt flagship store on Tuesday, delighting the thousands of fans who had ventured to the Mall of Emirates to get a glimpse of the football star. 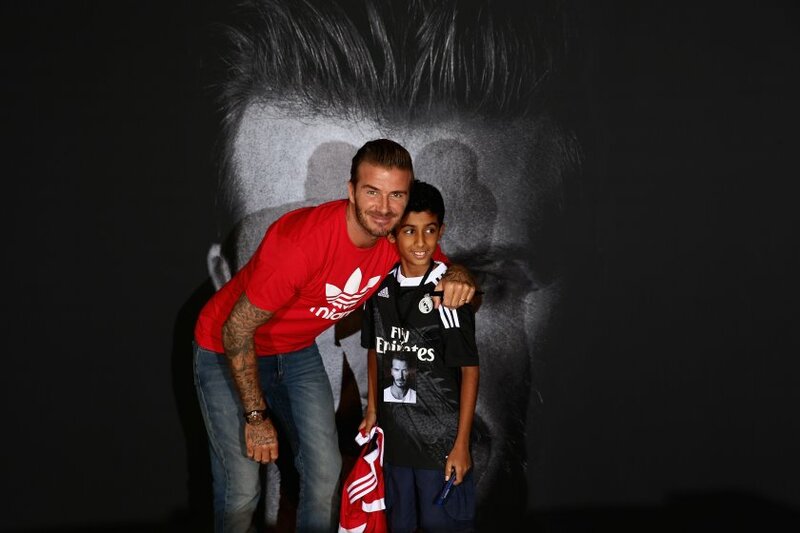 Beckham personally welcomed 50 winners of an Instagram competition, who were individually greeted and photographed, and some managed selfies with the footballer. 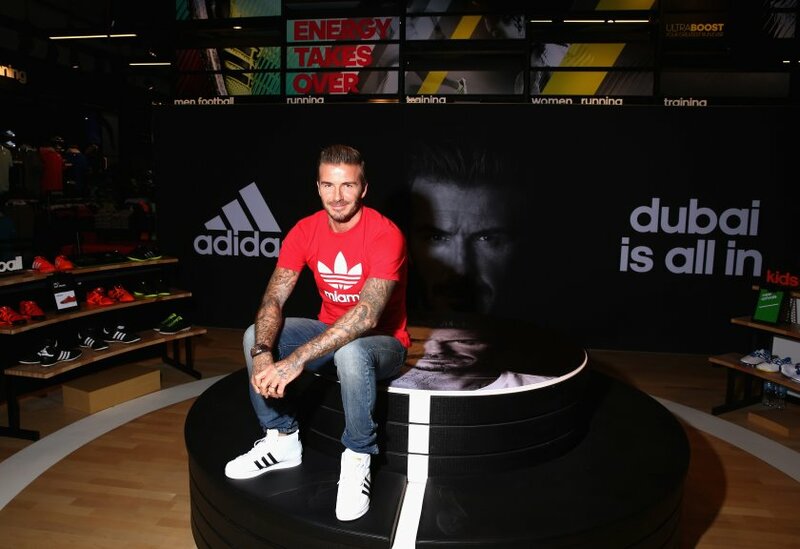 The 375 m² store is designed to bring a more authentic in-store experience, says Adidas. 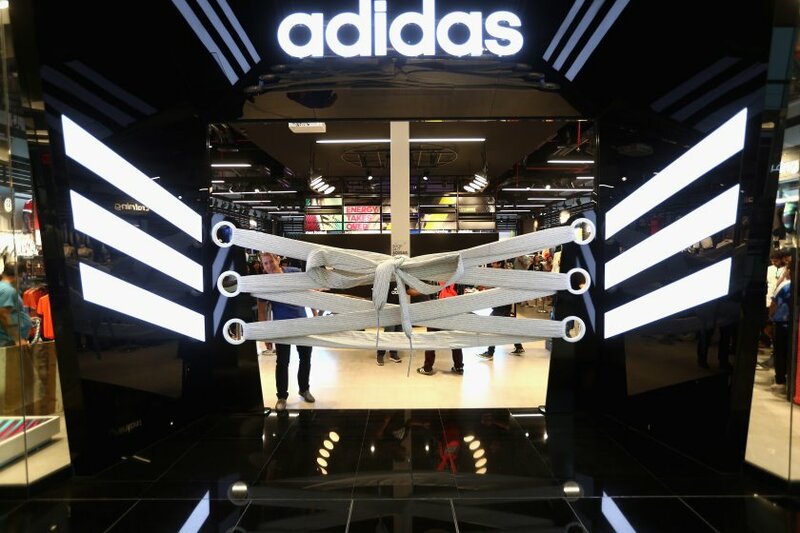 The store features the Arena Façade, which resembles an entrance gate, welcoming each visitor with a “sound shower” of cheering fans as one enters; a Team Room, a large fitting area and social space allowing shoppers to try on products; and the Shoebase, a bar with an interactive table and two touch-screens connected to the Adidas website to help customers select a product. 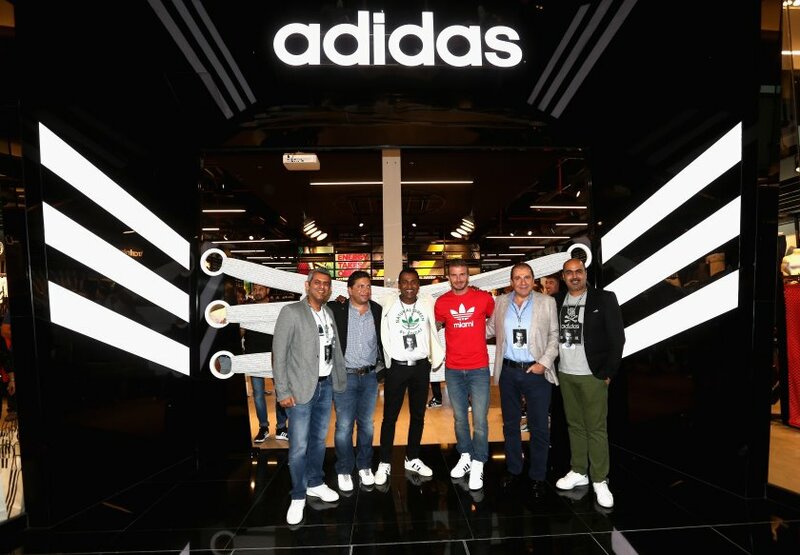 Those present included Adidas directors and vice-presidents from the Middle East and North Africa regions: Osman Ayaz, Jason Thomas, Tushar Goculdas, Jad Chouman, and Siddarth Jham. 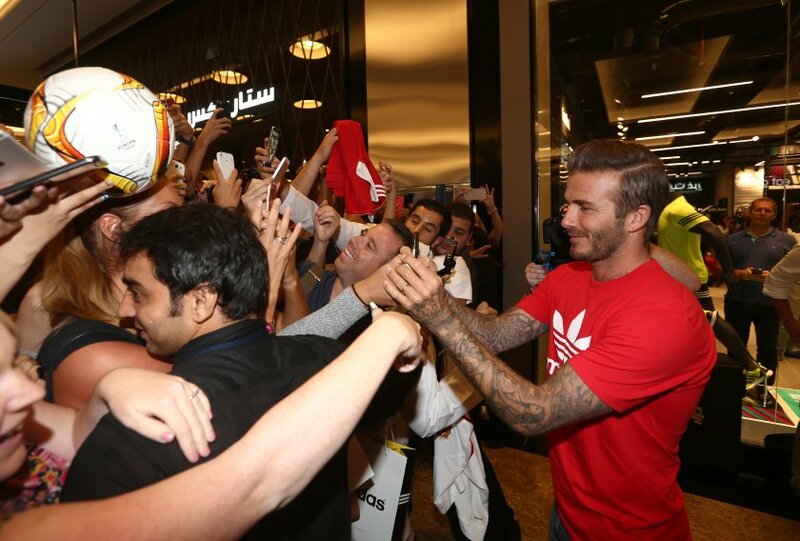 Fans can find more on social media at facebook.com/adidasfootballMena and @adidasmena on Twitter and Instagram.